The unique five-week program at Pocono Springs is designed to help campers build confidence, take on healthy challenges, learn new skills, and develop lifelong friendships, all while having the time of their lives! We take all the fun, spirit, excitement, and tradition of a full-season overnight summer camp experience and deliver it in five weeks. Our program offers both structured cabin programming and individually-selected activities, which gives campers the best of both worlds. 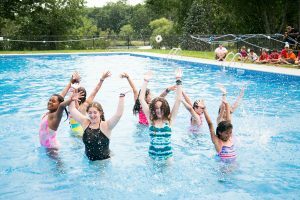 Campers have the opportunity to try everything Pocono Springs has to offer while being encouraged by their cabin-mates and developing important social skills, and then are also allowed their independence to choose activities based on their specific interests. On a typical day at camp, campers attend group-centered activities with their cabins in the morning. In the afternoon, campers participate in electives to focus on activities they love most, or to try something they’ve never done before. We believe it’s important for all of our campers to develop new skills and interests over the course of the summer. We encourage our campers to try everything, give it their best shot, and have a blast doing it! 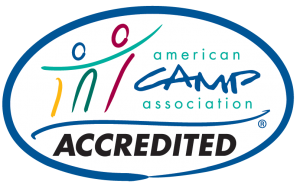 Whether a camper is interested in sports, arts, aquatics, adventure, or theater, they can do it all at Pocono Springs!